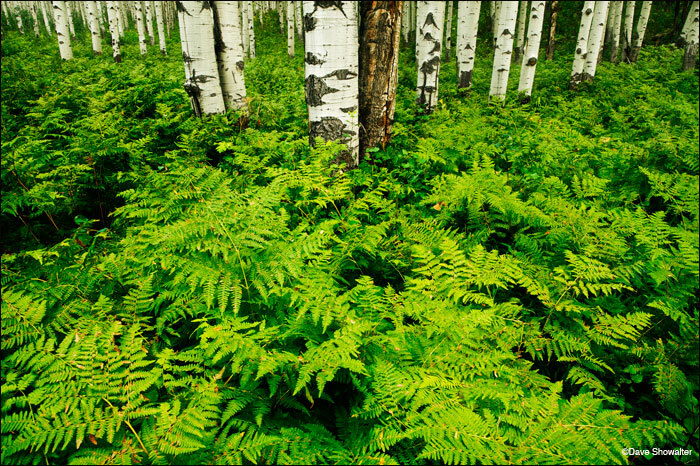 Late summer ferns are thigh-high in this aspen forest on top of McClure Pass. near the town of Marble. Photo © copyright by Dave Showalter.